Percent solids in just 15 minutes! 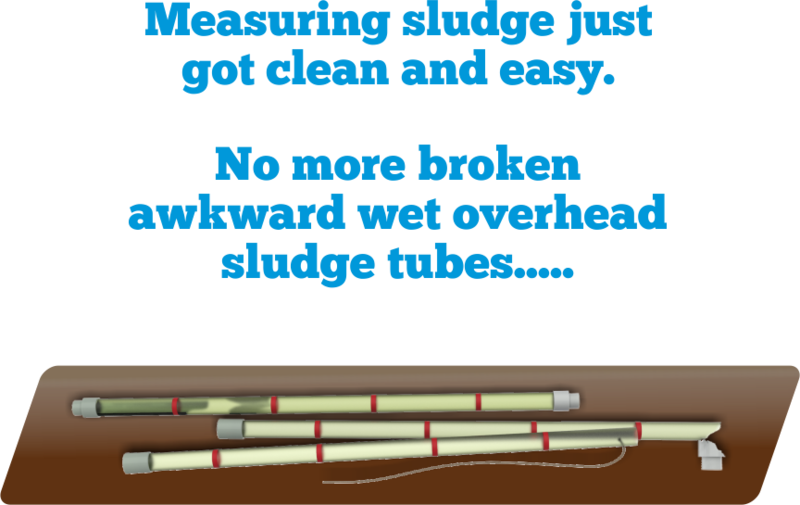 Process control needs results now for wasting and return activated sludge decisions. Keep your biomass in balance. Model F-10300 process centrifuge. Watch the settling speed and separation capabilities of activated sludge. It comes with a tight snap on lid and wide stir paddle. Clearly marked in % and Settled Sludge Volume (SSV). 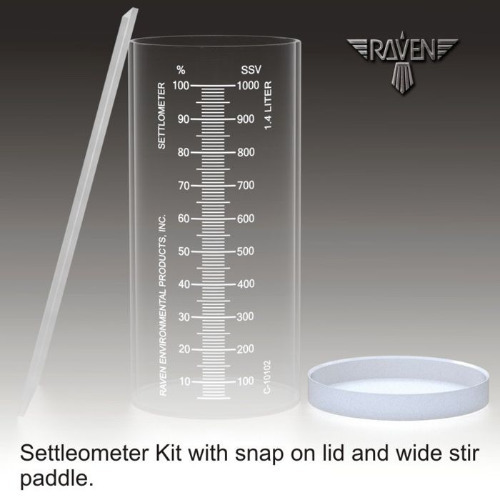 Model C-10102 Settleometer Kit. Why pay more for other brands? 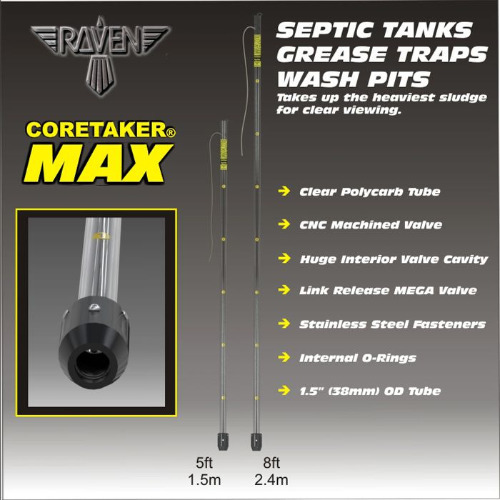 CORETAKER® MAX for heavy solids found in septic tanks and grease interceptors. The huge Link Release Mega Valve is opened and closed with internal linkage and a shepherd hook to keep the valve open when cleaning. Model B-40404. 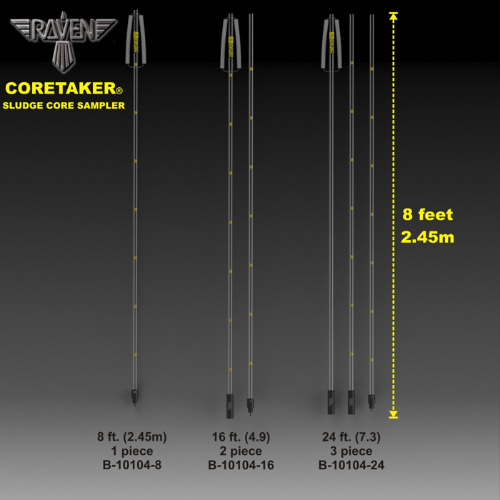 CORETAKER® - The most durable sludge core sampler available. It comes with a lifetime break-free guarantee. No threaded fittings that break. 8 foot sections to keep it as light as possible. Compare and judge for yourself. Model B-10101. 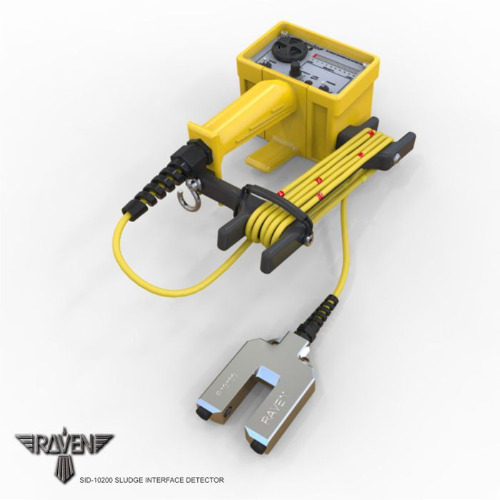 The Sludge Interface Detector has stood the test of time and science. Infrared is the most reliable and accurate way to measure sludge levels in clarifiers, thickeners and digesters. No calibration, just flip the switch and go. Model SID-10200. 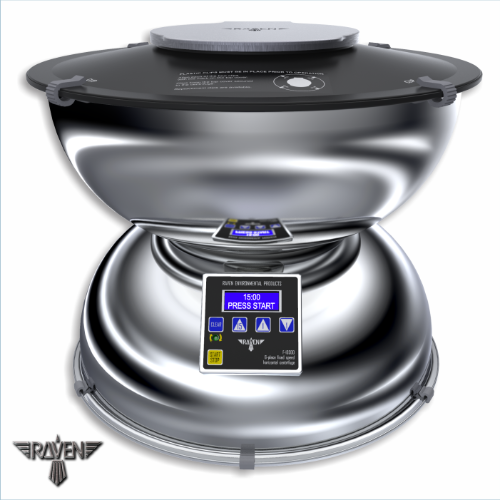 Copyright © 2014 Raven Environmental Products, Inc. All Rights Reserved.